As is often said, real estate is about location, location, location. We have extensive knowledge of the Casper, WY area and can help you find the right home for you or the right buyer for your home. 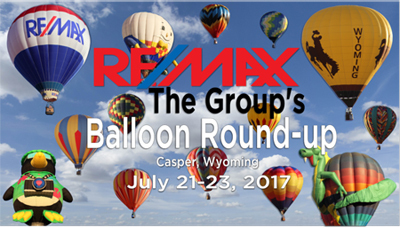 Find out more about our annual Balloon Roundup! Disclaimer: Information deemed reliable but not guaranteed. All properties are subject to prior sale, change or withdrawal. The data relating to real estate on this web site comes in part from the Wyoming MLS Internet Data Exchange Program. Real estate listings held by brokerage firms other than the listing office named are marked with the Wyoming MLS IDX logo and detailed information about them includes the name of the listing broker. The information being provided is for consumers' personal, non-commercial use and may not be used for any purpose other than to identify prospective properties consumers may be interested in purchasing. Data last updated: 2019-04-25T00:27:06.44.